The old dock on south Bank of West cove is about to be a problem area. I know the landowner and he has been in contact with Cameron sheriff's office, apache oil and wildlife and fisheries. This with him being one to complain about being run out of marshes he fishes in black lake. He caught me off guard when he was telling me about wanting to gate it off and press charges on people going in there so I bit my lip. When he brings it up again, and he will, I'll have to tell him we can agree to disagree on this and leave it at that. That being said, just be cautious out there. from the pic u posted, it looks like you have to run down a dredged ditch to access those duck ponds. if you ain't the owner/lease, you can't access that property. especially dirring deer/duck season. suprized he doesn't have a gate put up to keep the trash out. I would. The people that know this area know other ways in. If he doesnt want anyone using "his" ditch then he can't use the resources that flow in the ditch. If you decide to use natural resources to supply your ditch then you must allow others to use the area where "there" natural resources are used. But our current laws don't agree with you. That's the problem with our state. Kinda funny, my buddy, the land owner has carried on and complained about being run out of other marshes and still fishes other marshes. Now he's trying to play both sides of the fence. I think that's spelled "hypocrite"
looks like a good place to catch reds/catfish on a falling tide!!! I've fished the mouth of this ditch numerous times, caught a ton of reds on a falling tide. I've had to stop fishing a lot because the boat traffic in and out of the ditch is constant. Jet skis are always running this marsh and Jacking up the fishing. I never knew it was private, I believe the first ditch before this one is the only one with a no trespassing sign at the mouth. I abide by the signs because I too own land and don't want people on it. Maybe a sign would be better than a fence that would possibly hurt this fishing area. a sign would be much better than a fence or a dam with a pipe. 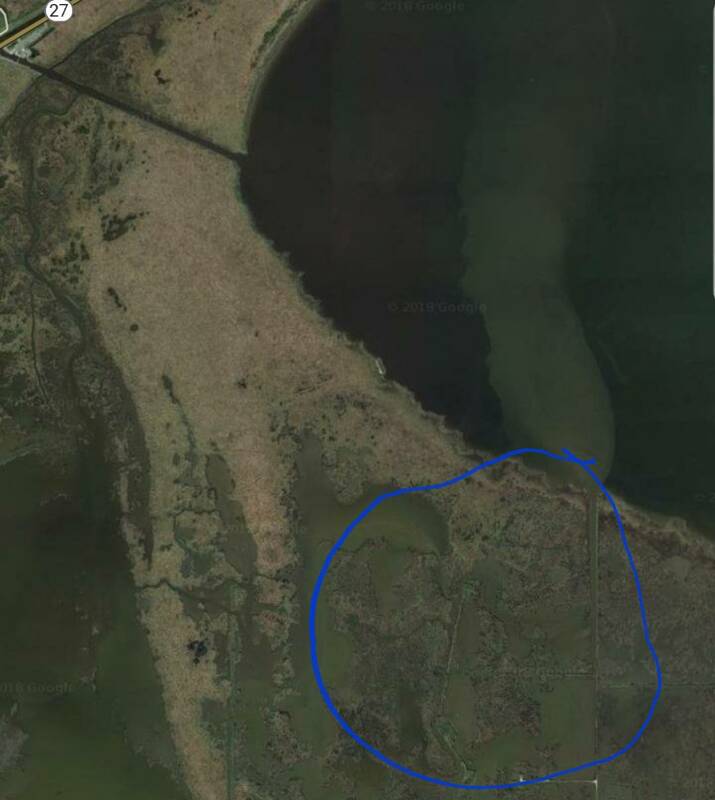 with erosion as bad as it is, it will probly be open marsh in 20 years. it's amazing how many things have changed in the 50 years I've been around. In the state of Louisiana if he wants to he has every right to put a gate and block off al public access to the marsh. Even if there are natural man made entrances from tides erosion etc he can block those off too put a gate press charges whatever he pleases, as long as he own the land around the marsh ponds he can claim owner ship to the sediments beneath the water. This state of Louisiana is the only state you can do this.